The Internet of Things (IoT) and smart devices are impacting how today’s products are designed and engineered to create unparalleled consumer experiences. Successfully integrating power sources, mechanical and mechatronics assemblies, sensors, embedded electronics, radios, web-enabled applications and other systems requires powerful electronic CAD tools that address the extreme complexity of multiple engineering disciplines. SOLIDWORKS PCB combines SOLIDWORKS mechanical design and data management capabilities and user-friendly interface with PCB software technology from electronics design software company Altium Limited. With SOLIDWORKS PCB, mechanical and electrical engineers can work in parallel, transition between design environments and synchronize designs on demand, without using manual files and data exchange or compromising design workflows. Interactive and intelligent capabilities simplify PCB layout while 3D technology for product visualization and review helps ensure that designs are right the first time. SOLIDWORKS models can be incorporated within the PCB design environment without the need to change SOLIDWORKS applications. SOLIDWORKS PCB also features real-time data on component parts from suppliers in the SOLIDWORKS ecosystem. “The SOLIDWORKS community of users spoke and we listened: in today’s design world, it’s not enough to design products quickly. 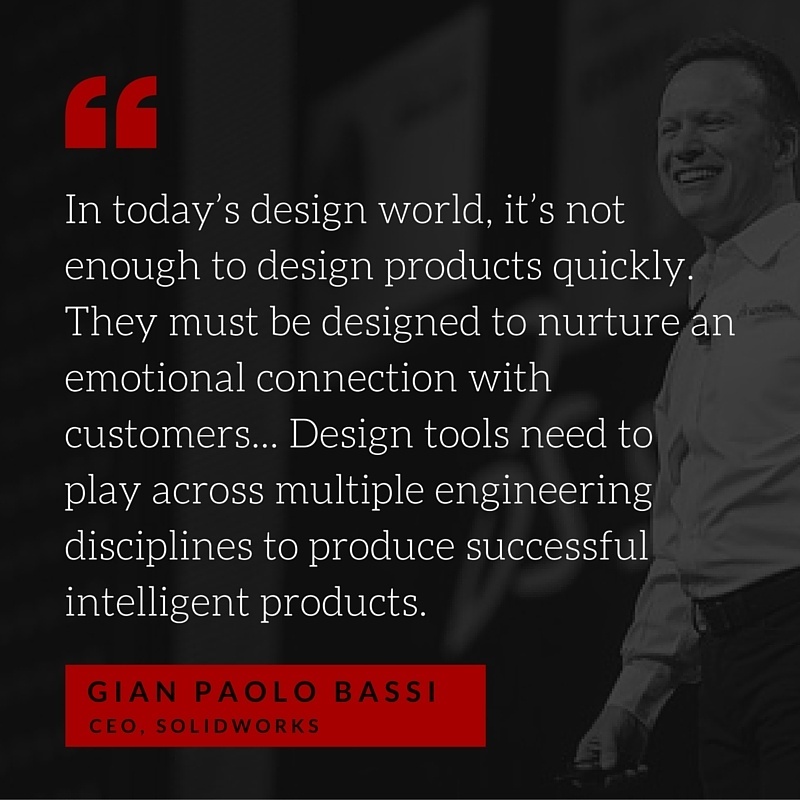 They must be designed to nurture an emotional connection with customers,” said Gian Paolo Bassi, CEO, SOLIDWORKS, Dassault Systèmes. Unveiled at SOLIDWORKS World 2016 in Dallas, Texas, SOLIDWORKS PCB is a key addition to the SOLIDWORKS 2016 product portfolio. Nearly three million customers worldwide now have access to the only 3D design portfolio that addresses all aspects of the product development process including design, simulation, electronic, electrical design, product data management and technical communication. To learn more about SOLIDWORKS PCB, check out our SOLIDWORKS PCB product page or request a quote from our sales team.